We have designed a comprehensive management software system to rectify many issues caused by poor installation work and record keeping – this is our FastLight element management software! Finding and fixing faults is no longer tedious as Fastlight is a complete solution for building, commissioning and testing optical networks. 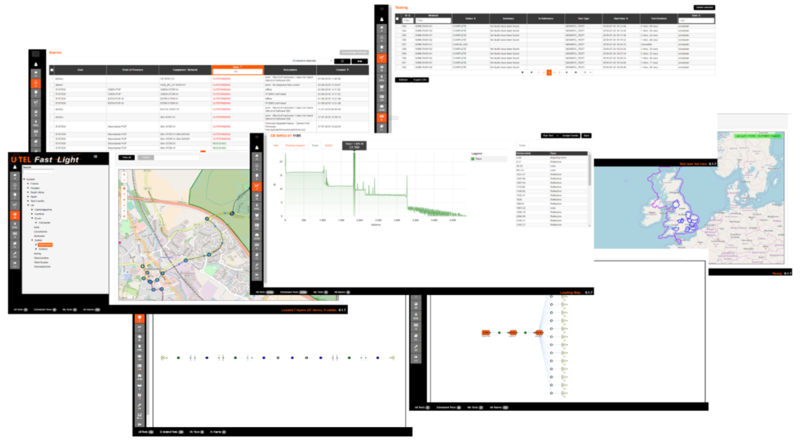 FastLight allows routine and on-demand testing, multi-scheduling, alarm notification, maintainence and bench marking fibre networks, along with it being a multi-user, multifunctional and universal infrastructure overview, with GIS mapping that has the added benefit of displaying fault location to a particular infrastructure item ie: manhole. FastLight controls the our test equipment in the Exchange, remotely via HTTPS using a secure web based GUI. This can be hosted on your own server, and offers a wide-range system support package and functionality including system inventory, reports, contractor sign off and mobile device support, for testing and network recovery, are just part of the added features. FastLight takes care of things normally requiring highly skilled technicians in order to diagnose faults with the network, storing results in the database allowing for easy management. Improved visibility for all third parties connected to your mapped network, including a view of your core networks, makes network responsibility clearly visible. FastLight leads to dramatic OpEx reductions – reduced downtime, eliminates first time fails, no unnecessary truck roll, automates fault finding with no handheld equipment needed and helps builds networks with 100% capacity availability.